Click on a category below to view all questions & answers. Can iperEspresso capsules be recycled? How long will an unopened can of illy stay fresh? An unopened can of illy ground coffee will remain fresh for at least two years due to illy's proprietary patented pressurized system that extracts air from the can and replaces it with inert gasses at a higher-than-atmospheric level of pressure. This method guarantees a longer preservation time, maintaining flavor and aroma for over 24 months. At the same time it 'ages' the coffee, improving its aroma over time by causing its volatile aroma compounds to bind with the oils that are contained in the beans. Simple vacuum packing cannot achieve this flavor transformation. The positive pressure exerted by illy's method actually forces these aroma compounds back into the coffee whereas vacuum packing lets them seep out. The effect of illy's aging process is similar in many ways to the development of complex flavors when a fine red wine is aged under proper conditions. How can I determine the expiration date of a can of illy? The expiration date is marked on the bottom of the can. How long will illy stay fresh after the can is opened? A room-temperature can of illy will remain at optimum freshness for 7 days after opening. After 7 days flavor will begin to deteriorate due to natural oxidation from exposure to air. How should I store an opened can of illy? If the entire can will be consumed within 7 days, room temperature storage is recommended. If the coffee will not be consumed within 7 days, we recommend refrigerated storage, allowing the coffee to return to room temperature before use. It is important to refrigerate the can immediately after opening in this case to retain optimum flavor. Where can I find illy in my area? How much illy should I use? For espresso, use 7 grams of illy per shot (about 1oz). For auto-drip brewed coffee, start with 7 grams of illy per 8 ounce cup. You may need to adjust to taste as the parameters (water turbulence and temperature) of each coffee maker differ somewhat. You can take the guess-work out of espresso by using E.S.E. pre-measured, pre-tamped servings (pods). How much caffeine is in illy? illy uses only the finest Arabica beans available, and Arabica coffee is naturally lower in caffeine than the cheaper and lower quality Robusta variety. An average 1 oz. illy espresso will contain approximately 60 milligrams of caffeine. Brewed illy coffee will contain less than 15 mg caffeine for each gram of coffee used. What is the difference between medium roast and dark roast illy? illy medium roast coffee is a bit more mild while illy dark roast has a more intense and robust coffee flavor due to a slightly longer roasting time and slightly higher roasting temperature. Some people find the dark roast better for coffee preparations that involve milk, such as cappuccinos and lattes. Both medium and dark roast are suitable for espresso and brewed coffee preparation and the choice is a matter of personal preference. Is illy Kosher Certified and if so, who Certifies illy Kosher? Yes, Union of Orthodox Jewish Congregation of America. What is illy's position on organic coffee? 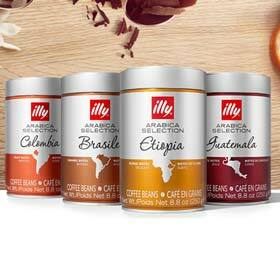 Illy caffè maintains a complex high quality blend of 100% Arabica beans from around the world. We work directly with nearly 900 growers on 4 continents to source sustainably grown coffee. Certified organic coffee accounts for approximately 4% of world production and we cannot guarantee that 100% of the 9 different Arabica varieties in our blend will be certified at all times. In addition, Illy caffè tests the green coffee (before roasting) for up to 80 different chemicals to insure that our coffee is safe and pure. 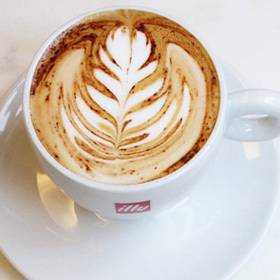 illy's demand for the highest quality beans is rarely met through organic coffee. Because illy is a single blend composed of beans from 7 to 9 growing regions, some organics may be present in the blend if they meet our rigid quality standards. Organic coffee has a very low yield per hectare-about 6 to 8 bags per hectare. This low yield is not compensated for by a proportionally higher price, so the farmer makes less, not more. Furthermore, and quite importantly, the cultivation of so-called organic coffee depletes the soil of its nutrients without sufficiently replacing them. Unless the farmer rigorously practices proper soil analysis and management and adds enough phosphorus (which coffee needs to grow well) the plants are weak and highly susceptible to insect and fungus attack. Few farmers maintain their soil at the high level necessary to produce the best beans. The process can lead to an irreversible deterioration in the quality of the soil. As part of our ISO 9001 certification we test every coffee lot we purchase for the presence of pesticide residue-testing for 36 different types. No coffee with pesticide residue is purchased by illy. What does illy do to protect the environment? illy actively follows a policy of environmental stability and development and is very sensitive to environmental issues in all our activities. We believe industry has an ethical responsibility to develop and pursue practices that protect the ecosystems. This extends from respecting the regulations governing production plants and waste disposal, to the company's decision to adopt recyclable containers and the use of recycled cardboard. Our environmentally-friendly cardboard outer packaging is 100% recyclable and offers convenient pod dispensing. illy’s cans and tins are made from 100% recyclable metal. illy strives for 0% emissions from our plants, and all materials used in the production process are recyclable. Our iperEspresso capsules are created from recyclable plastic, as it is the only material with the mechanical characteristics needed to optimize the extraction of the blend and obtain an excellent product. It is important to use these materials in order to ensure that the capsule can withstand high operating pressure during extraction. 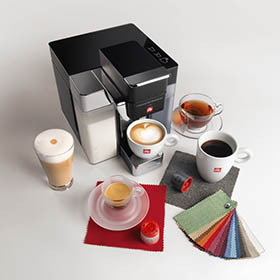 illy strives to maintain sustainable practices in everything we do and is a strong advocate of recycling waste products. While our capsule is made from recyclable material, we are currently working on a means by which consumers can open the capsule and clean it out in order for it to be recycled after use. Furthermore, illy has been working to design new technologies to achieve a balance between protecting the environment and promoting good business. How does illy preserve the freshness of coffee? Roasted coffee can lose up to 40 percent of its vital aromas after only eight hours of contact with air – an issue that the common vacuum packaging method can’t adequately address. Coffee packed in soft bags suffers an even tougher fate. illy pioneered another way, using a remarkably effective, natural pressurization technology – patented throughout the world, and exclusive to illy. The process of natural pressurization for packaging coffee in our iconic recyclable cans preserves the freshness of the coffee – you can actually hear the sound of fresh coffee every time you open a can! Freshly roasted illy coffee is placed in recyclable cans, along with natural, inert nitrogen, under pressure. The process traps essential aromas and protects them for more than a year. Just like fine wine maturing in the bottle, illy coffee is refined in its pressurized environment, becoming yet rounder than when first packaged as naturally emerging oils mingle with one another. The can, which is 100% recyclable, allows us to pressurize the coffee and preserve the volatile aromas. The common bags that offer any protection from the atmosphere cannot withstand this pressure and they are made of multiple layers of plastic and aluminum that are not recyclable with today’s technology. How is illy coffee decaffeinated? 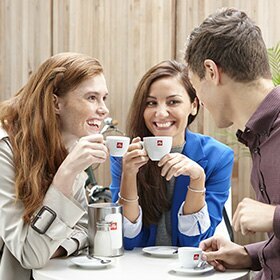 illy coffee is decaffeinated with the CO2 method, a process using two natural elements – water and carbon dioxide (sparkling water). This process is considered the safest method to decaffeinate coffee while maintaining its quality. Is there the danger of melting plastic between the interaction of hot temperatures and iperEspresso Capsules? We use Polypropylene to make the capsules so there is no danger of melting plastic. The capsule withholds temperatures to 320F and since espresso coffee or the water to make the espresso never reaches a temperature above 197 F there is no danger of the capsule melting. Polypropylene is often used for food containers, particularly those that need to be dishwasher safe. Polypropylene doesn't soak up water, making it ideal for uses where it will be constantly subject to moisture. The polypropylene plastic used for the iper capsules is BPA free. What is the difference between retail pricing and illyusa.com pricing? All retailers put select products on sale from time to time. A lower price in-store is likely a temporary ‘sale’ price. Pricing at our retail partners should be at parity with prices on illyusa.com, but it does take time for retailers to convert over to new pricing causing a temporary disparity between retail and direct pricing. You receive complimentary ground shipping on coffee orders $75 or more, and save $1/can with case purchase, on illyusa.com. What coffee should I use for Espresso? Espresso preparation requires a very evenly ground fine grind coffee almost a powder. We recommend our Ground Coffee for Eepresso or grinding illy Whole Bean Coffee in a quality burr grinder set to fine/espresso grind. For more details on how to prepare a perfect espresso, visit this link. How do I use an illy E.S.E. pod? Each E.S.E. serving contains 7 grams of coffee; the exact amount needed for a 1 oz. shot of espresso. Do not re-use pods. 1. Switch on the E.S.E. espresso machine and let it heat. For the best results, we suggest you warm the cups as well. 2. Place the E.S.E. serving in the specially designed filter holder with the writing facing up. It is very important to handle the E.S.E. pod as little as possible and only by its edges, as the oils from your skin can compromise the quality. It is especially important not to touch the coffee area of the pod. Place the filter holder in its housing and switch on. Allow the water to run through it for about 20 seconds. 3. At the end of this step, remove used serving, and reinsert the filter holder. What coffee should I use for Drip/Brewed Coffee? Auto-drip coffeemakers work best with a medium grind coffee and illy ground coffee for drip coffeemakers is specially ground for this preparation method. Alternatively, you can grind whole bean coffee using a medium/drip setting in a high-quality burr grinder. For more details on how to prepare perfect drip coffee, visit this link. What coffee should I use for French Press? For French press preparation use illy ground coffee for drip coffeemakers. The grind is courser than that used for espresso and is optimal for both drip coffeemakers and French press. To see step by step instructions on French press preparation, visit this link. What coffee should I use for moka pot/Stovetop preparation? Moka pot stovetop coffee preparation requires a grind courser than espresso but less course than drip and French press. 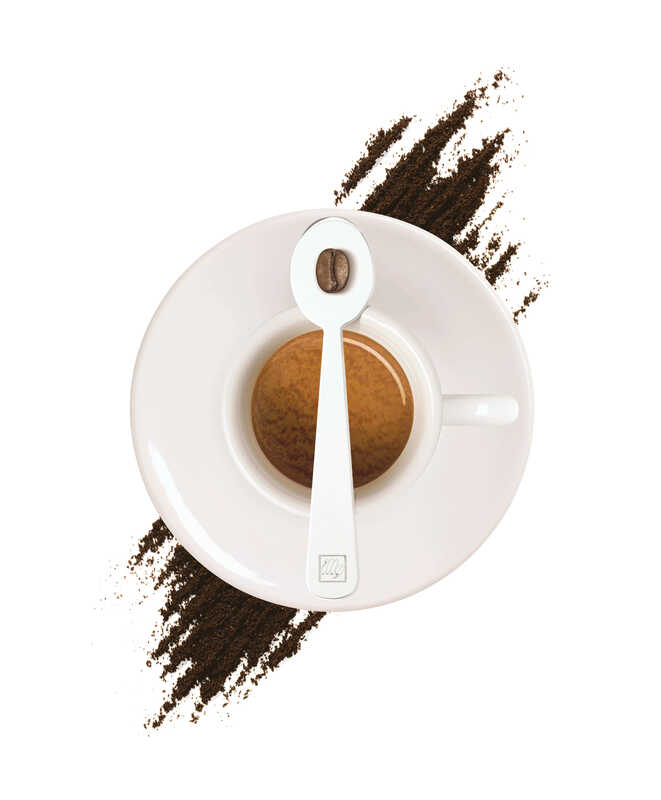 illy Moka grind is ground specifically to work with moka pots to yield optimal results. To see step by step instructions on moka pot preparation, visit this link. 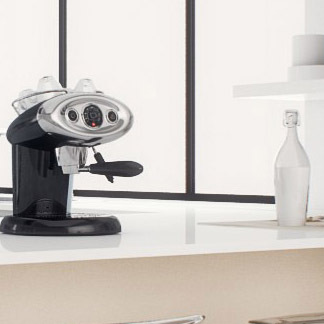 How can I get service for my espresso machine? How do I decalcify my espresso machine? How often? We recommend using Cleancaf powder once a month and Cafiza powder to clean the head of the machine and handle (coffee residue tends to build up under the metal screen in the handle). You may need to decalcify more or less often depending on how frequently you use your machine and the mineral composition of the water you are using. Visit this link to buy online. Visit this link to buy machine cleaners online. My steam wand is no longer working. Who can assist me in getting it fixed? The steam wand is very sensitive and any milk residue left after steaming milk can cause a problem if the wand isn't cleaned immediately after each use. To clean a clogged wand, first try running machine cleaner through the machine and steam arm. If that doesn't do the trick, you can try soaking the wand in boiling water with a little cleaning solution dissolved in it. You can also try using a pin to dislodge any solid milk plugs. After soaking the wand, run hot water through it if your machine has a hot water mode, otherwise run steam through it, being careful not to burn yourself. Can my current espresso machine use illy E.S.E. pods? Any espresso machines that is E.S.E. compatible can use illy E.S.E. servings (pods). Many machines have E.S.E. pod handles that can be purchased from the machine manufacturer if the machine did not come with an E.S.E. handle. Where are illy's machines made? Some of our home espresso machines, are made in Italy (example: the Francis Francis X1) and others are made in China (examples: Y1 and X7). In both cases, it's our intention to deliver the highest quality machines to our customers. Each machine undergoes rigorous testing to ensure it meets our exacting quality standards to produce the highest quality espresso. How can I purchase past illy Collections? 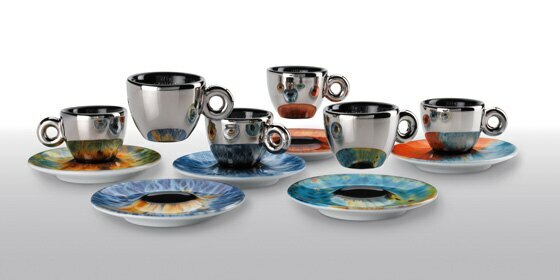 illy art collections are produced as signed and numbered limited editions. Once a collection is sold out, it is no longer available for sale. illy Collections are widely collected throughout the world and many collectors are willing to sell or trade past collections. Can I get a replacement cup for one that has broken? 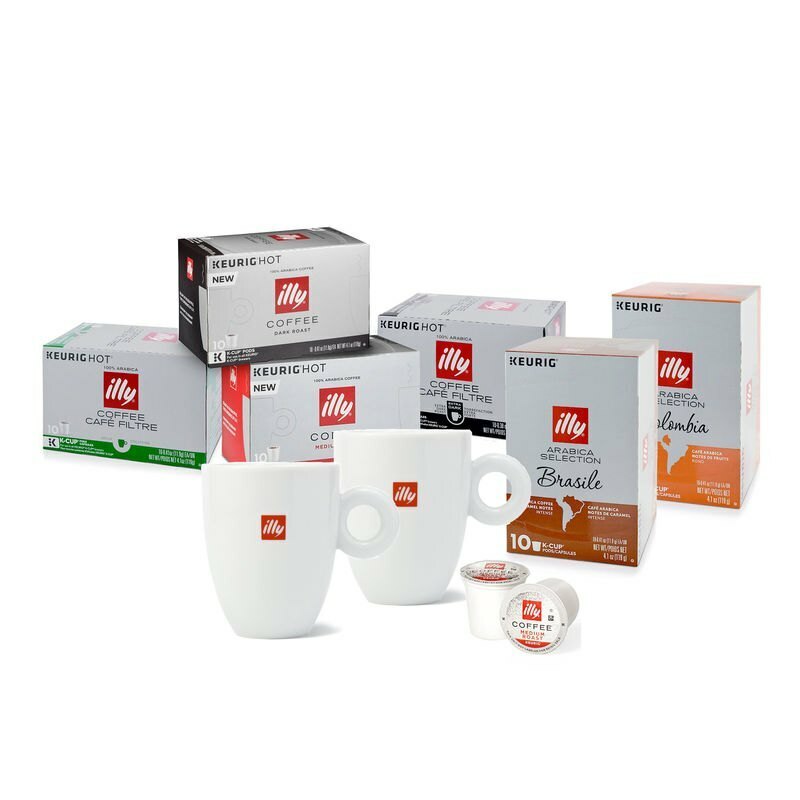 illy Art Collections are sold as complete signed and numbered sets, therefore it is not possible to replace a single cup. I saw an illy cup at a restaurant. How can I purchase this collection? 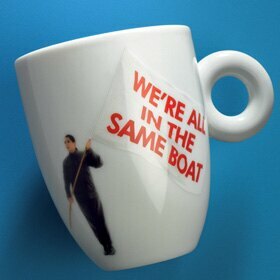 All Collections currently available for sale are posted in the Artist Cups section of the illy e-store. You may have seen a cup from an older collection in the restaurant, or one that was released to restaurants only. Where can I see all the illy cup collections, past and present? How do I contact an illy Customer Care Specialist? To contact illy regarding the status of an order, or with questions about our merchandise, please send an email to customer.service@illyusa.com or call us toll-free at 1-877-4MY-ILLY (877-469-4559) Monday through Friday between the hours of 9:00 a.m. and 7:00 p.m. E.S.T. Please have your order number handy to help us serve you better. 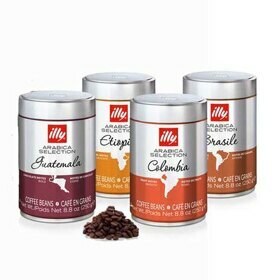 For company and all other inquiries, email info@illyusa.com. What is illy's return policy? Three shipping options are available: ground, next-business-day air and two-day air. Shipments can be made within the United States only. Shipments can not be made to PO or APO addresses. Under normal conditions when merchandise is in stock, orders will be received within seven to ten business days. Ground Shipping is free of charge for coffee totaling $75 or more. Please note that free shipping applies only to the coffee portion of an order when the coffee cost is $75 or more. All other orders will be charged according to the Shipping Fee Chart. What types of expedited shipping are available? Next Day Air: Orders placed by 12:00 noon E.T. will be shipped for receipt the next business day. See Shipping Fee Chart for fees. Second Day Air: Orders placed by 12:00 noon E.T. will be shipped for receipt within two business days. See Shipping Fee Chart for fees. How secure is my information I provide online? When you place an order or provide us with information, the data is kept safe and secure through encoding with SSL technology, an encryption protocol that protects information as it travels over the Internet. illy is committed to protecting your privacy. We use the information we collect about you to process orders and to provide a more personalized shopping experience. To process and fulfill your order, we need to know your name, e-mail address, mailing address, credit card number and expiration date. We will never sell or give this information to a third party. We may also use the information we collect to occasionally notify you about important functionality changes to the Web site, new illy services and programs we think you'll find valuable and select offers from our partners. You may opt-out of these notifications at any time by contacting illy Customer Care. What is illy A Casa Auto Delivery? Auto Delivery is the most convenient way to enjoy your favorite illy products. We automatically send you the items you've selected based upon a frequency that you can set. The program is easy to use and customizable, so you can make changes online whenever you need. Just tell us how often you want your items, and we'll take it from there. You always have complete control over your Auto Delivery orders, and we send an email reminder 10 days before each order ships, as well as a notification when your order is placed. You can change your delivery frequency, next order date, or quantity any time by visiting 'My Subscription' located within the 'My Account' section. Changes to orders can be made up until the date the order is set to be placed. How do I join illy A Casa Auto Delivery? Creating a subscription for an item can be done on the product page and the shopping cart. To subscribe, simply select the illy a casa Auto Delivery option for your desired product, select your preferred shipment frequency, and then check out. What will happen after I join illy A Casa Auto Delivery? After you join illy A Casa Auto Delivery, you will receive an email confirming your subscription. This email will include a link to access 'My Subscription' where you can manage your future orders, subscription items and subscription account information. We will place your Auto Delivery orders automatically according to your selected frequency, and you will only be billed on the day the order is shipped. 10 days prior to each order, we will send you an email reminder. You will also receive email notifications regarding other important information related to your subscription account, such as item discontinuation, subscription cancellation, or order placement confirmations. How do I make changes to my subscription deliveries? To change your next order date, please visit the 'My Next Order' tab under 'My Subscription', click on 'Edit Date', then select a new date for your order. This will change the order date for the entire order. If the Auto Delivery order contains multiple items, and you would only like to change the order date of a single item, please visit the 'Manage Subscriptions' tab and identify the individual item you would like to modify. Please click the next order date for the individual item and select your desired next order date from the calendar. To skip an Auto Delivery order, please visit the 'My Next Order' tab under 'My Subscription' and click on 'Skip Delivery' to skip the entire order. To modify the delivery frequency for an Auto Delivery item, please visit the 'Manage Subscriptions' tab. The current delivery frequency is displayed next to each item in a drop down menu. To change the delivery frequency for an individual item, simply click the drop down next to the item you would like to modify and select your next desired frequency from the pull down menu. How do I make changes to my illy A Casa Auto Delivery account information? To review or modify your Auto Delivery account information, visit 'My Subscription' located within the 'My Account' section on illy.com. You can change the shipping address or payment information for an individual order or for the entire subscription. You can also change the delivery frequency. To make updates to your personal account information, please select either the 'My Next Order' tab or the 'Manage Subscriptions' tab. To change your shipping address, please click on 'edit' located within the Shipping Address box. This address will apply to all Auto Delivery orders. To change your billing information, please click on 'edit' located within the Billing Address box. This address will apply to all Auto Delivery orders. Please remember to press OK and verify that your updated information saved successfully. What is the difference between the 'My Next Order' and 'Manage Subscriptions' tabs? The 'My Next Order' tab shows the details for your next scheduled order. An order may contain more than one individual item scheduled for Auto Delivery if the items have the same order date, shipping address, billing address, and payment information. The 'Manage Subscriptions' tab displays individual Auto Delivery items and all associated details for that individual subscription including next order date, delivery frequency, quantity, shipping address, billing address and payment information. What happens if there is a change in price to an item I've subscribed for Auto Delivery? Item prices are locked in 10 days prior to your scheduled delivery. If the price changes outside of those 10 days your "Upcoming Order" email will communicate if there are any. You can always see what the price your subscription item(s) are by going to your 'My Subscription' page. What happens if my subscription product is out of stock? If an Auto Delivery product is temporarily out of stock, you will receive an email notification. If the order is not canceled, the product will be shipped when it is in stock. Similarly, if an Auto Delivery product is discontinued, you will be notified by email and your Auto Delivery shipments for the discontinued product will be cancelled. The Capsule Machine and Office auto delivery programs offer a complimentary iperEspresso capsule machine and welcome gift and recurring deliveries of coffee capsules. By enrolling in one of these programs, you agree to the terms outlined while signing up to take delivery of specified minimum amounts of coffee at defined intervals for a specific amount of time, until the terms of the program are fulfilled. During the contract period, you can customize the mix of coffees you receive and change them as often as you like. You can also have your coffee forwarded to a temporary address or to a friend or relative if you wish. We are not able to make substitutions or swaps for complimentary cups or other complimentary items associated with these programs. How long after placing my order will I see the order confirmation? You should receive the order confirmation within 1 hour of the order being placed via 1-click checkout and text reorders. How do you opt in to SMS text reorder reminders? You must be a registered customer to be opted in to text reordering. When you place your next order and if you are logged in at illy.com, you will be asked at checkout to opt into these notifications. You must enter a valid mobile number and make sure the opt in box for text reorders is checked - this is pre-checked for your convenience. Once you complete your order, you will receive a text message that will ask you to confirm your opt in preference for these text messages. Reply "YES" to enroll or "NO" to opt out. If you reply "NO", you will be asked if you would like to enroll again on your next order at checkout on illy.com. If you reply "STOP", you will opted out of SMS text reorders and will not be asked to enroll again at checkout. Please note: Your standard carrier may charge for SMS text messages. Can I enroll in text reorder reminders for illy a casa Auto Delivery? No, SMS text reorders is for customers who want to order on an as needed basis, but don't want to enroll in our Auto Delivery program. What credit card and shipping address will be used for SMS text reorder and 1-click checkout? Your billing and shipping address used on your last order will be used for SMS text reorder and 1-click checkout purchases. Can coupons be used for SMS and 1-click checkout orders? No coupons can be applied to purchases through SMS text reorders or 1-click checkout. For your convenience, text reorders receive 10% off plus free ground shipping with every order. 1-click checkout orders will receive free ground shipping. 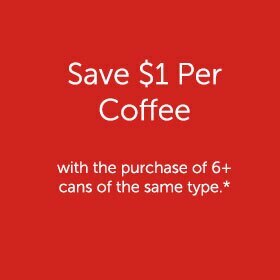 If you would like to use a specific coupon code, please use the standard checkout on illy.com. How many reminders for product reorders will I receive with illy text messages? You will only receive a maximum of one product reminder text a day. If you have multiple items that should be ordered that same day it will be combined into one text message. If your credit card is declined, an email will be sent notifying you that the transaction could not be completed. Your order for text messages and 1-click checkout uses the credit card information from your last order. If your card information has changed since your last order, you will need to place another order with our standard checkout page on illy.com. Additionally, you can also call Customer Care at (877)469-4559 to get your credit card updated. How can the credit card and address get updated? The credit card and address of the last successful purchase is always used for the text reorders and 1-click checkout. If your order is rejected, you should go through the normal checkout process for this particular order and then the next text reorder or 1-click checkout should go through since we will receive that updated information. How long after clicking the 1-click checkout can an order be cancelled? You can cancel up until the time the order has been placed. Orders are placed on the hour every hour so the amount of time to cancel is variable based on when the order was placed. How long after clicking the 1-click checkout can an item be added to the order? If you select multiple items for 1-click checkout, it will all ship together if the items are added to 1-click checkout before the order is processed. Orders are placed on the hour every hour so the amount of time to add other products is variable based on when the initial product is ordered.